Our specialty! 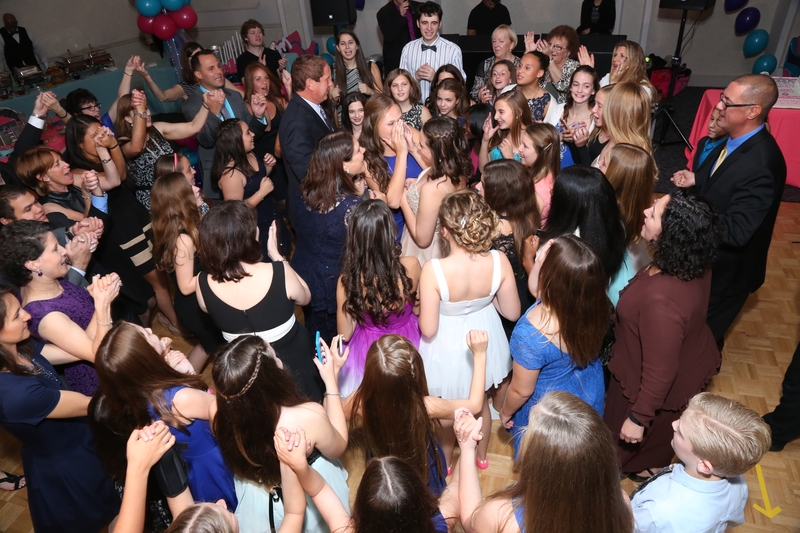 A bar/bat mitzvah is a once-in-a-lifetime celebration and The DJ Connection – Entertainment for all ages and events – knows how to make your event extra special. 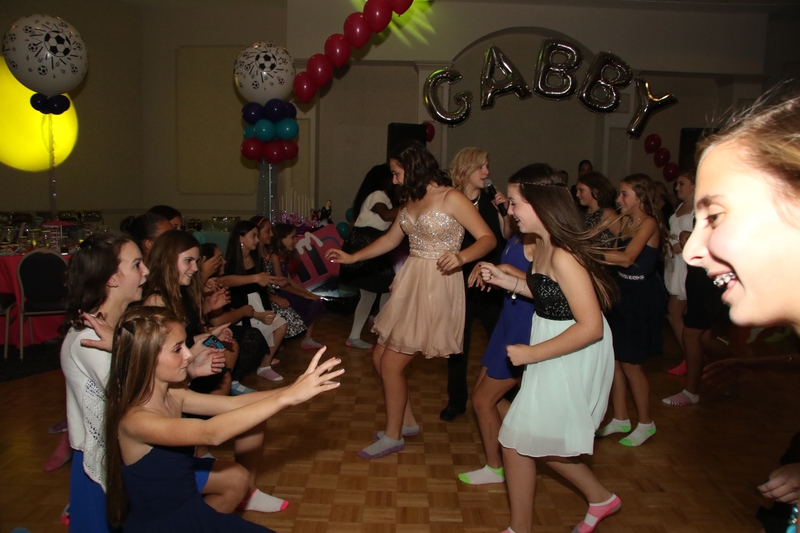 The DJ Connection caters to all your guests, from 13-year-olds to grandparents. We enhance the party, always keeping the spotlight on the most important person: the guest of honor. With our interactive dancers and MC’s, we keep the guests dancing. 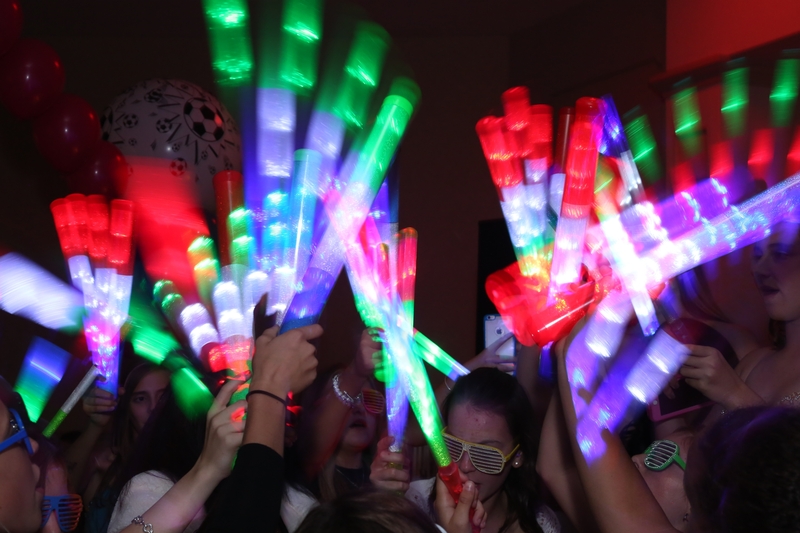 Our complete entertainment packages will complement any theme with staging and lighting, party favors, costumes, games, and of course, dynamic music that will keep the party going. 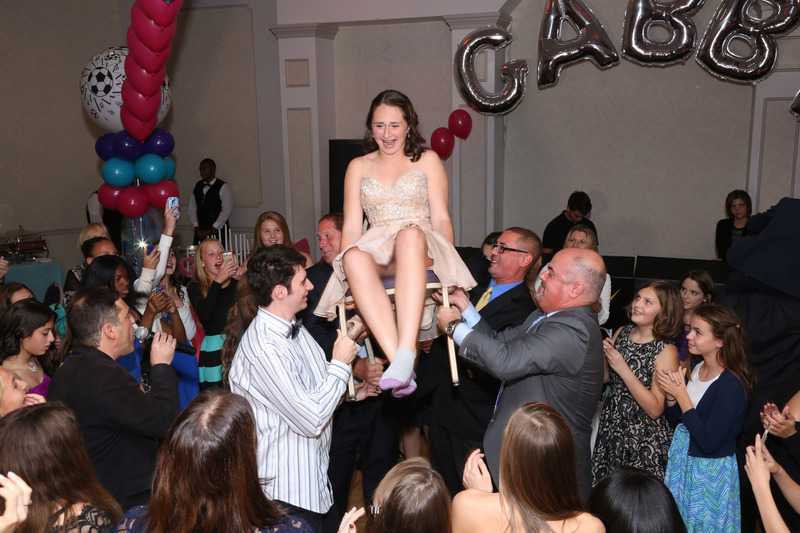 We are the one stop shop for Bat/Bar Mitzvahs in the Delaware Valley including South Jersey and Philadelphia since 1978. From the party favors, room décor, lighting, party props, and more. If you want a photo booth, bopping heads or a fabulous lighted dance floor we can do it all for you. No request is too much for The DJ Connection. At The DJ Connection – Entertainment for all Ages and Events – we know what an important family occasion this is and will include everyone in the celebration. Our clients rave about their experience for years to come. Some families have come back to us multiple times which says it all. Our hearts are in what we do and we understand the level of importance in your child’s life. We are not happy unless you are and our very personal touch ensures success. Contact us to discuss our different packages designed to meet every budget. Our packages run the gamut and we will find the perfect solution to fill all your needs and fit your budget! A recent successful Bar Mitzvah of ours was for Matthew. 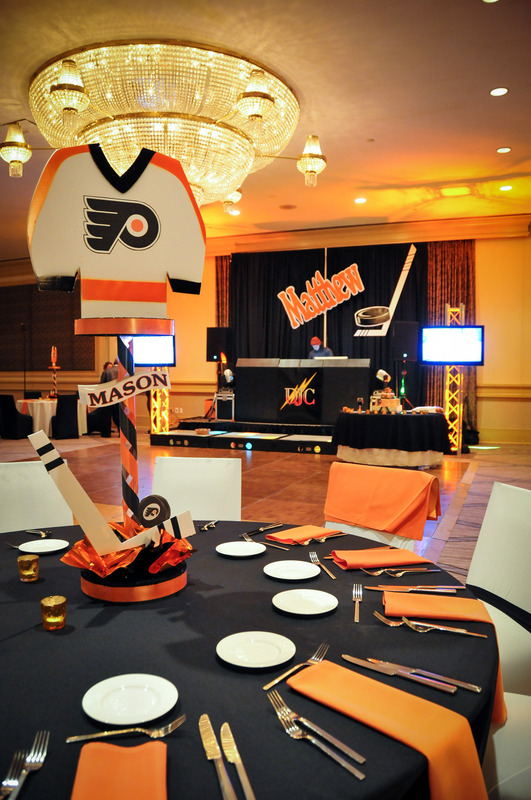 Matthew loves the Flyers so we created a themed event just for him, complete with Flyers jerseys, Flyers themed centerpieces, matching favors, magazine covers starring Matthew as a Flyers team player, plus music that got the guests rockin’ and rollin’!!! Imagine your son or daughter’s passion brought to life just for them – perfection!